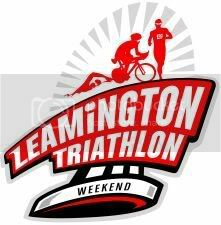 A continued update to the Leamington Sprint Triathlon in which I am participating. Just over one week to go! Training is going well, although I definitely underestimated the importance of being prepared for the swimming aspect of the triathlon. I always knew how fit one had to be to swim, but I have gained a new level of respect for the individuals who practise swimming as a regular sport. It is one of the most taxing forms of exercise that I have ever encountered. I hope to continue swimming regularly after this event as I can hardly remember a time where my body hurt more then after 25 laps in a 75ft pool. The PA Journey – A Canadian point of view is an incredible association adored by in excess of 100,000 individuals, hunting down another employment is extraordinary, I thought superb viewpoint, everybody do it as they need. Bring home point get looking for another https://aussiessayservices.com/australianwritings-com-review/ activity. I lean toward it, and may be loved by everybody.